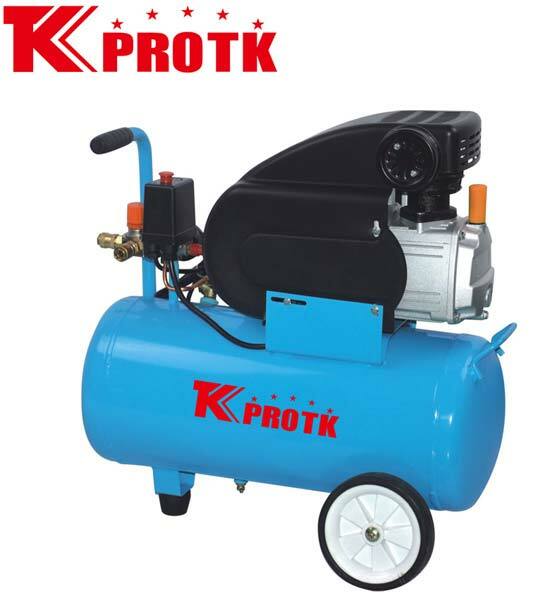 We are a well-known manufacturer, exporter and supplier of Air Compressor (TK-FL30) in Yongkang, China. We are known for manufacturing premium quality compressors with the help of high quality raw materials and modern technology. They are in compliance with the international quality standards. They have been proven to have an excellent functionality and durability along with being completely safe for use. We handle bulk orders efficiently with an assurance of timely delivery. Two metal Pressure Gauges,Metal Muffle,two wheels,L metal handle,2 quick coupling,the cover is same as mine.